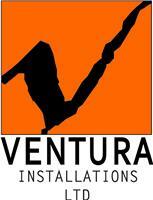 Ventura Installations Ltd - Builder, Electrician based in Southampton, Hampshire. Ventura Installations Ltd create and deliver beautiful garage conversions, and renovations including kitchens and bathrooms for residential homes. We offer a comprehensive service with our team of qualified and experienced tradesmen with a total commitment to the client. We believe that a recommendation says it all and communication is the key to our whole process from the start to finish. We pride ourselves on our ability to listen to clients, advising them on the best way forward to create their perfect dream home. Whatever the size of the job, Ventura Installations Ltd provides electrical design, installation and testing services with an uncompromising approach for both domestic and commercial properties. We will ensure that work fully meets current electrical legislation and safety standards and all our word is covered by our government backed, 6 year warranty. With our fully qualified electricians registered with NiC EiC the electrical services we offer includes: - General Electrical Contracting and Maintenance - Electrical Testing and Inspection - Replacement Fuse Boards - PAT Testing - Lighting Interior and Exterior - Sockets Fully / Part Re-wire - Smoke Alarms - Emergency Lighting - Electric Showers and Electric Cookers. Please give us a call on 07584 675209.